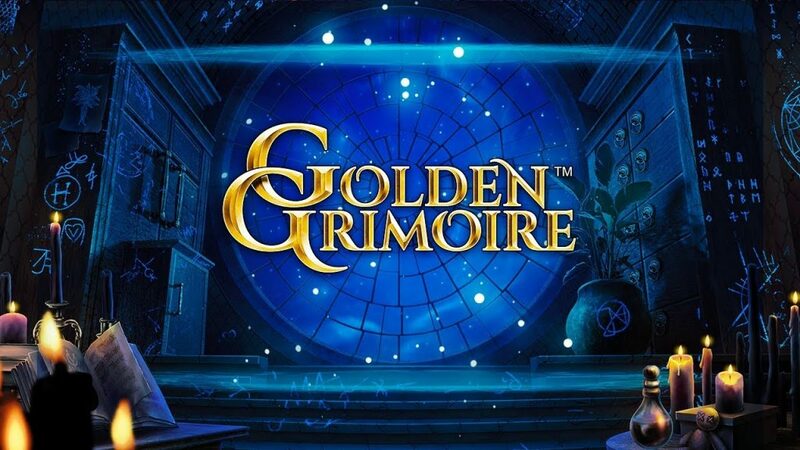 Golden Grimoire™ is the latest Netent video slot released on the 21st of February 2019. The theme of this video slot is based on the book of spell – Grimoire, which is believed to be used in witchcraft to evoke several entities, including angels, demons, spirits and deities. In reality the first Grimoire books or collections of spells are believed to have been written by the ancient Egyptians which spells were carved on stones. As we can see, humans have always had that spiritual believe that there is a super entity out there that can bring good fortune or curses. The Grimoire spells have continued to impress humaity for several thousands of years even after that, and till this day there are still people that belive in these occult scripts! Back to the Golden Grimoire™ video slot review now! As always, Netent developes high quality video slot with outstanding design and great game features to keep you well entertained and surprise, with of course the chance to win a good lump sum of money. Golden Grimoire™ however does not contain so many game features and it offers quite simple gameplay for the players. Golden Grimoire™ is a 5-reel, 4-row, 40 fixed paylines video slot, with a theoretical return to player set to 96.44%. 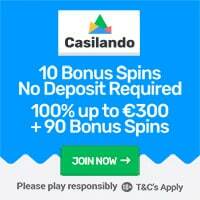 Players can bet from as little as 0.20 up to a maximum bet of €400, with the chance to with up to 800x the bet on a single spin! In Golden Grimoire™, players can trigger the following game features: Free Spins, Mystery Symbol Transformation, Sticky Mystery Symbols and Wilds! The Mystery Symbol is the Golden Grimoire Book that becomes a wild that converts into other symbols to create a winning combination for the player. 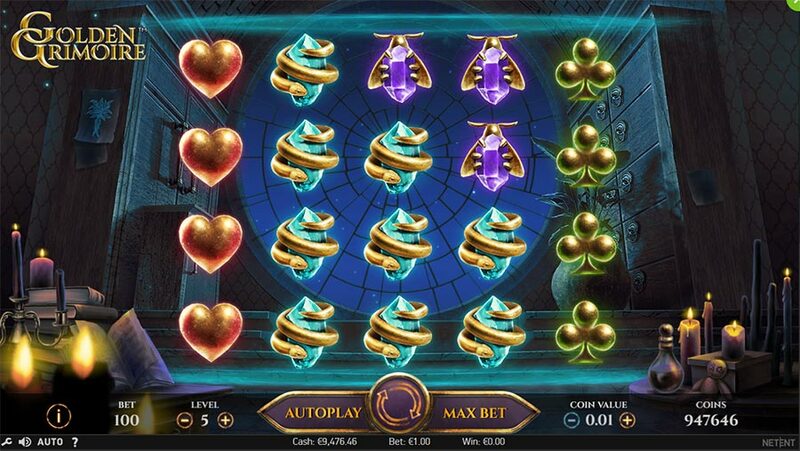 The Scatter Symbols which are available on reel 1, 3 and 5 will trigger the Free Spins rounds. To get 8 Free Spins, 3 scattter must land on the reels. 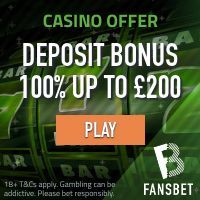 Featured: 20 No Deposit Extra Spins at Dunder Casino! « Free Spins Frenzy at Slot Strike Casino starts Today!